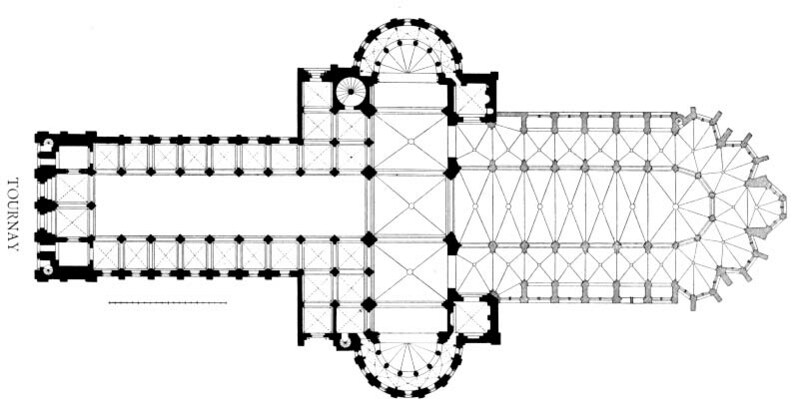 Construction on Notre Dame de Paris began in 1163 when the first cornerstone was laid down. It was completed between 1250-1345. Notre Dame is a prime example of Gothic architecture. Gothic architecture is characterized by pointed arches, vertical heights, flying Buttress, vaulted ceiling, light and airy interiors, gargoyles, and decorative and ornate style. 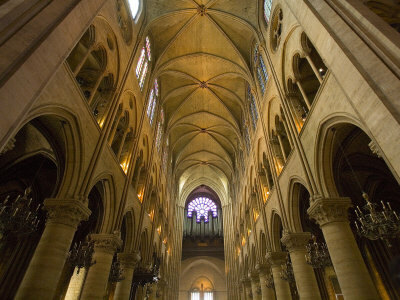 Notre Dame was among the first buildings in the world to use flying buttresses. The reason for a buttress is to resist the lateral forces pushing a wall outward by redirecting them to the ground. 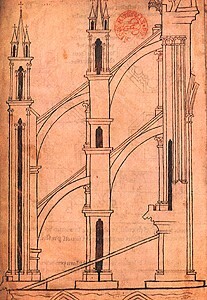 The flying buttress does not connect to the wall or ground and instead the the lateral forces are being transmitted by an intervening space. The flying butress made it possible for buildings to be taller, creating larger Rose windows and reinforce the wind loading on buildings. Speaking of Rose Windows, or sometimes called a Catherine windows, a Rose window is a term for a circular window in Gothic architecture. Though the term Rose window wasn’t used till the 17th century. The South window was a gift from King Saint Louis and was designed by Jean de Chelles and Pierre Montreuil. It depicts Christ surrounded by saints and angels. The North window was also designed by Jean de Chelles and depicts the old testament surrounding the Virgin Mary. 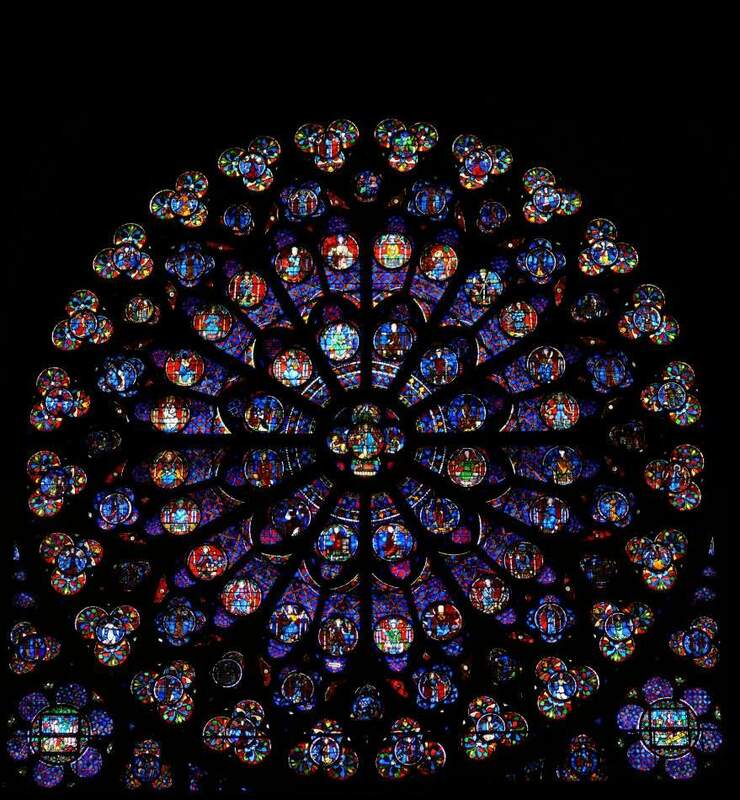 There is also the Western Rose Window, which is the window of the facade which also depicts the Virgin Mary. Probably Notre Dame’s more iconic feature is its Gargoyles. Gargoyles are used as decorative element and as gutters. 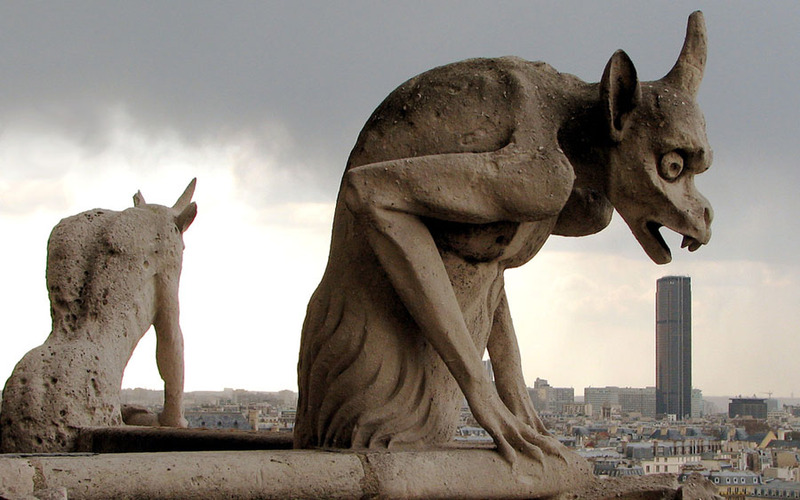 The myth behind the Gargoyles on Churches is that they keep evil spirits away.